This great P.G. 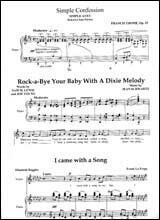 Wodehouse/Jerome Kern song is a perfect metaphor for this website and can be purchased here. 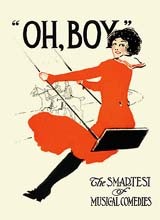 Many other songs by this duo are featured in the innovative musical Oh Boy!, first staged in 1917 and recently produced here in Chicago at City Lit Theater. 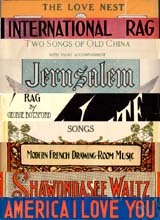 Sheet Music Back In Print prepared new editions of almost all of the music that was then arranged by musical director Kingsley Day. For links to the titles in our site from Oh Boy!, click here. And be sure to visit our latest additions page if you haven't visited us in a while. First time visitor to the site? Visit our About page for more information about us and our editions, then visit our Free Samples page to see for yourself the quality of our products. Finally, take a look at our thematic tours to get an idea of what's in our catalog. Returning to the site? Review our latest additions or explore some of our most recently featured works and composers to bring yourself back up to date. (You can also use our advanced search page to locate all music added since a particular date). Since new music is added to the site on a regular basis, our email newsletter informs you of new editions as soon as they are available. Sign up below by entering your email address. You can opt out at any time, and your email address will never be given to any third parties for any reason.